NERC introduced demand management measures in 2012. These were revised in 2015 to reduce the number and size of applications from research organisations for NERC’s discovery science standard grant scheme. Full details can be found in the BU policy document for NERC demand management measures at I:\R&KEO\Public\NERC demand management 2016. As a result, BU has introduced a process for determining which application will be submitted to each NERC Standard Grant round. This will take the form of an internal competition, which will include peer review. The next available standard grant round is July 2016. The process for selecting an application for this round can be found in the process document in I:\R&KEO\Public\NERC demand management 2016 – the deadline for internal Expressions of Interest which will be used to determine which application will be submitted is 8th April 2016. NERC informed us in March that they were implementing new measures designed to raise discovery science standard grant success rates. This included a reduction in the maximum value of a standard grant award (will fall from the current £1·2m to £800k (100 per cent full economic costing (fEC), £640k at 80 per cent fEC)), and a new institutional-level submission policy which limits the number of applications an individual research organisation can make. NERC have just issued an update on demand management measures, which includes a full list of the quotas that will apply to the July 2015 and January 2016 standard grant (including New Investigator) closing dates for each institution. Please note that following on from my previous blog post explaining the selection process to be adopted at BU, if you wish to apply to the NERC standard grant scheme then please contact the RKEO Funding Development Team in the first instance (please note that the application has been selected for the July call and so no further applications will be accepted). NERC is implementing new demand managment measures designed to raise discovery science standard grant success rates. This is to reduce the number and size of applications from research organisations for NERC’s discovery science standard grant scheme, and ensure research excellence, efficiency and value for money for the taxpayer. Following an update on demand management measures in November 2014, NERC consulted with advisory boards and research organisations to determine the detailed mechanisms it will apply to reduce demand for discovery science standard grants. From the July 2015 standard grants scheme, there will be a reduction in the maximum standard grant award size, from the current £1·2m to £800k (100% Full Economic Costing, £640k at 80% FEC). 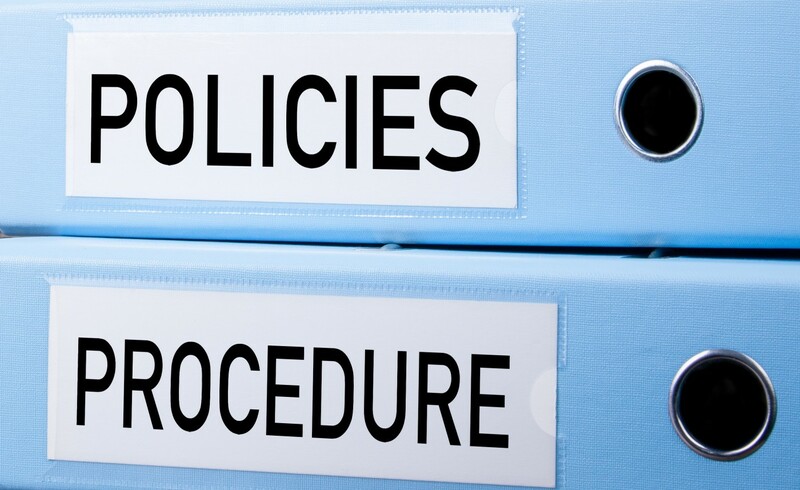 At the same time, demand management measures in the form of a new institutional-level submission policy will take effect. 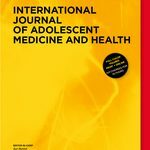 This will be based on historic application and award data and will limit the number of applications an individual research organisation can make, where that organisation fails to meet a 20 per cent success rate quality threshold. 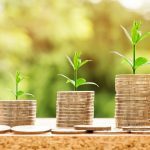 Research organisations that fail to meet the 20 per cent success rate threshold will have the number of applications the organisation can make in each standard grant round restricted, until the organisation meets the threshold. The data will be re-calculated annually using the most recent six grant rounds. 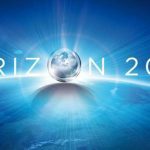 Restrictions will be calculated on a sliding scale with the most limiting restriction that will be applied to any research organisation being one application per grant round. 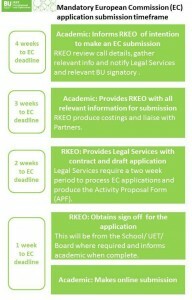 Any BU academics requiring further information on the cap should contact the RKEO Funding Development Team. 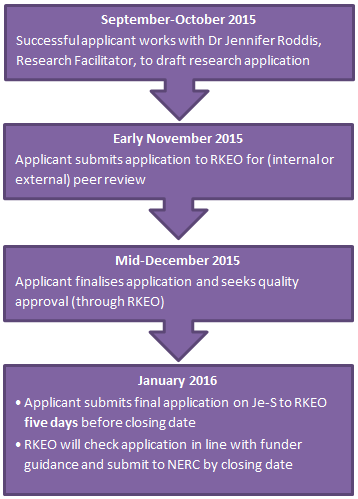 All BU academics intending to apply to the NERC Standard Grant scheme must contact the RKEO Funding Development Team in the first instance. For the foreseeable future, there will be an internal competition for NERC standard grant applications in order to ensure that the highest quality applications are submitted. The measures only apply to NERC standard grants (including new investigators); likewise the data used to calculate research organisation restrictions is only based on NERC standard grants (including new investigators). 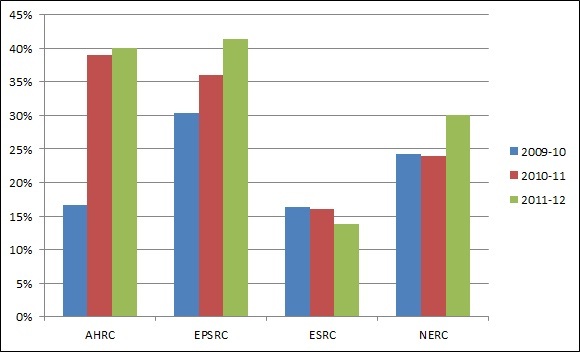 Where a research organisation submits more applications to any round than allowed under the cap, NERC will office-reject any excess applications, based purely on the time of submission through the Je-S system (last submitted = first rejected). 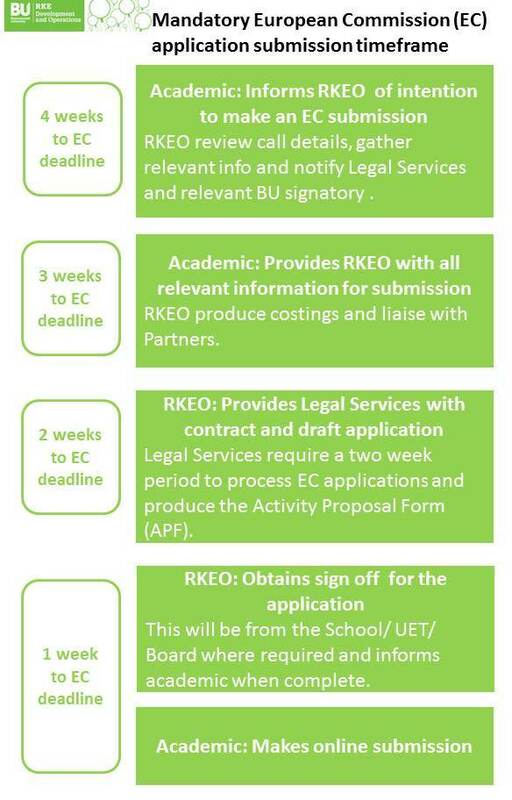 However, as RKEO submit applications through Je-S on behalf of applicants, RKEO will not submit any applications that do not have prior agreement from the internal competition. Any lead or component application from another research organisation linked to the rejected application will also be rejected. If any applications are subsequently rejected based on rule adherence or remit, a research organisation cannot submit alternative applications. An application counts towards an organisation, where the organisation is applying as the grant holding organisation (of the lead or component grant). This will be the organisation of the principal investigator of the lead or component grant (component meaning where BU is the non-lead partner submitting our own application form through Je-S to accompany the lead application and case for support). As said above, if you require further information then please contact the Funding Development Team (FDT) and if you intend to apply to future rounds then you must contact FDT as early as possible (it is advised that this is four months before a closing date). The news is out today: NERC is considering the introduction of sanctions in a bid to boost low success rates for responsive-mode grants. NERC will continue to strongly encourage self-regulation for universities. But, current measures for reducing demand, such as limiting re-submissions, is not raising success rates as hoped. Success rates are currently running at 16 per cent for recent standard grant proposals. Organisations to nominate a ‘designated first point of contact’ for demand management. 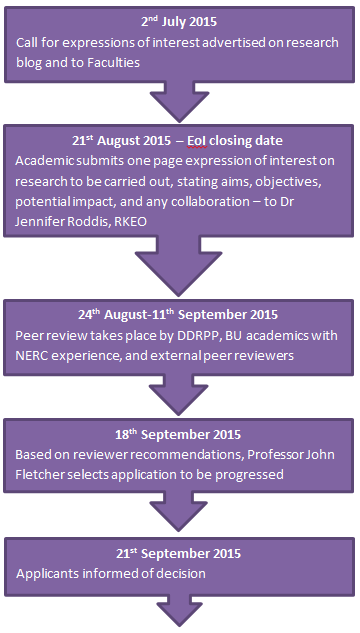 If you are submitting a bid to NERC (or any other funder for that matter) you are strongly encouraged to work with Caroline O’Kane through BU’s internal peer review scheme (Research Proposal Review Service – RPRS). You can also check the Blog on a regular basis to see what proposal writing sessions are running at BU. They are always excellent and well received. The more people we know about who are planning on submitting a proposal to a funder the better – then we can develop some tailored support to enhance your chances of success. Welcome to RCUK Demand Management week on the blog! Today’s focus is on the Arts and Humanities Research Council (AHRC) and their views on, and actions around, demand management. The AHRC’s current approach is to develop good practice guidelines for institutions (such as good practice in internal peer review and setting up an internal institutional triage system whereby only the best applications are submitted to Research Councils). However, along with the other Research Councils, the AHRC are keen to reduce the number of applications by implementing demand management procedures. 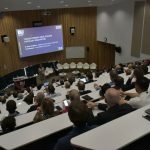 What are the AHRC’s future plans for demand management? – The AHRC’s Delivery Plan for 2011 – 2015 identifies demand management as a key aim of the AHRC, with a view to implementing procedures that will ensure that resource is used to maximum advantage for researchers, HEIs and the AHRC. The AHRC will disseminate information on application success rates and then enter into strategic discussions with HEIs falling below the average to develop ‘self-management of demand’ (p21). If this is ineffective, AHRC will introduce sanctions (e.g. institutional quotas). The AHRC’s approach to demand management will also use more targeted schemes to include longer and larger awards with greater use of the Expression of Interest phase, and an increase in the number of ‘sandpit’ style workshops to limit the number of applications on specific schemes to those which have been invited. Will sanctions be introduced for repeatedly unsuccessful applicants? 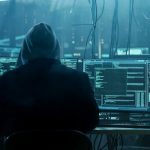 – The AHRC only plan to introduce sanctions as a last resort however they will be monitoring success rates as the basis for strategic discussions with institutions and introducing sanctions if deemed necessary. I am interested in applying to the AHRC. How can I make sure my application stands the best chance of being funded? – BU has established an internal peer review scheme (Research Proposal Review Service) which has been up and running in its current form for almost 12 months now. The scheme is managed by Caroline O’Kane and a whopping 21 proposals have been reviewed since July. If you are submitting an bid to EPSRC then I strongly encourage you to work with Caroline through the RPRS. You can also check the Blog to see what proposal writing sessions are running at BU. For example, on 23 and 24 November Dr Martin Pickard will be visiting BU to run sessions specifically focusing on writing and preparing applications for Research Council funding – read more and book a place here. Martin’s sessions are excellent and always well received, and I would encourage anyone considering applying for research funding to attend. Welcome to RCUK Demand Management week on the blog! Today’s focus is on the Economic and Social Research Council (ESRC) and their views on, and actions around, demand management. 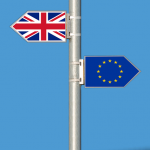 Over the summer the ESRC consulted with the sector on a range of proposed demand management options/ sanctions. The results, published last month, indicated that 68% of respondants favoured individual researcher sanctions. You can read the full details of the consultation and its outcomes on the ESRC website here. Will the ESRC be introducing demand management procedures? – The ESRC will not be introducing any demand management procedures YET. However, it they do decide to introduce individual researcher sanctions at a later date these are likely to be much tougher than those introduced by EPSRC. The ESRC would ban any researcher who had two unsuccessful outline or full proposals in 24 months which failed to reach an alpha grade equivalent from submitting further applications for 12 months. Failed applications would also be counted against both PIs and Co-Is, and a sanctioned researcher would be banned from submitting any applications as either a PI or Co-I over the next 12-month period. Ouch! 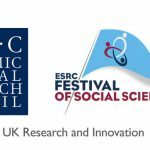 What are the ESRC doing instead of individual researcher sanctions? 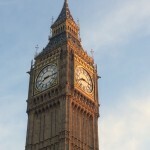 In June the ESRC introduced a number of changes to existing peer review practises and submission policies to help reduce the pressure on resources, and it is hoped that these changes along with self regulation from the research community (such as institutional peer review schemes) will be enough reduce demand. I am interested in applying to the ESRC. How can I make sure my application stands the best chance of being funded? – BU has established an internal peer review scheme (Research Proposal Review Service) which has been up and running in its current form for almost 12 months now. The scheme is managed by Caroline O’Kane and a whopping 21 proposals have been reviewed since July. If you are submitting an bid to EPSRC then I strongly encourage you to work with Caroline through the RPRS. You can also check the Blog to see what proposal writing sessions are running at BU. For example, on 23 and 24 November Dr Martin Pickard will be visiting BU to run sessions specifically focusing on writing and preparing applications for Research Council funding – read more and book a place here. Martin’s sessions are excellent and always well received, and I would encourage anyone considering applying for research funding to attend.